(L) Dylan O'Sullivan Farrow attends the TIME 100 Gala, celebrating the 100 most influential people in the world, at Frederick P. Rose Hall, Jazz at Lincoln Center on Tuesday, April 26, 2016. (R) Justin Timberlake arrives at the 75th Annual Golden Globe Awards at The Beverly Hilton Hotel on January 7, 2018. 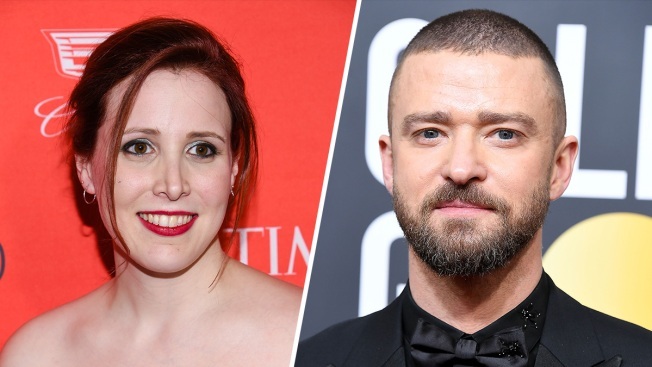 Dylan Farrow is calling out Justin Timberlake for his support of the Time's Up movement. The 32-year-old adoptive daughter of Woody Allen and Mia Farrow has previously shared allegations that Woody sexually abused her when she was a child. 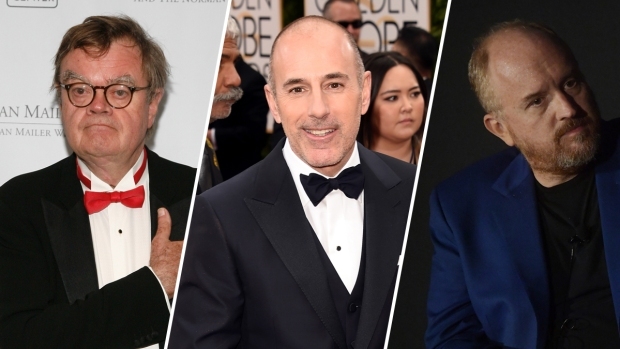 In recent weeks, Dylan has called out actors like Blake Lively and Cate Blanchett on social media who have worked with the director and are supporting the Time's Up movement. On Tuesday, Dylan responded to a tweet by Justin, who recently worked with Woody on the 2017 film Wonder Wheel. "Random question: Can someone please explain the saying, 'You just want your cake and to eat it too.' What else am I about to do with a cake??" Justin asked. He also shared, "Also... I prefer pie, I think." In response to Justin's question, Dylan replied, "The saying means, for example, you can't support #TIMESUP and praise sexual predators at the same time. You can't retain your credibility as an activist (i.e. - retain the cake) and, at the same time, praise a sexual predator (i.e. - eating the cake)." Justin recently attended the 2018 Golden Globes wearing a Time's Up pin. He posted a photo of himself and Jessica Biel before the ceremony on Jan. 7 with the caption, "Here we come!! And DAMN, my wife is hot! #TIMESUP #whywewearblack." Justin also showed his support for the Time's Up movement with an Instagram post on Jan. 1 that read, "No more accepting sexual harassment and inequality at work as normal. It's NOT normal. #TIMESUP - Link up top in bio." The "Supplies" singer has yet to respond to Dylan's tweet, but he did respond to another Twitter user's explanation of the saying. "it's actually, you can't have your cake & eat it too. Meaning you can't have 2 good things at once. If you eat it you don't have it anymore!" @ggianaaddeliaa wrote. Justin replied, "THANK YOU! Day changed. #StillPieOverCake."